Bedouins are famous throughout the world for their unique cultures and their abilities to survive in some of the worlds most inhospitable environments. Wadi Rum is a place that has been inhabited by Bedouin communities for centuries and has retained autonomy for much of that time. As such Wadi Rum is the perfect place to gain exposure to the hospitality of the Bedouins. 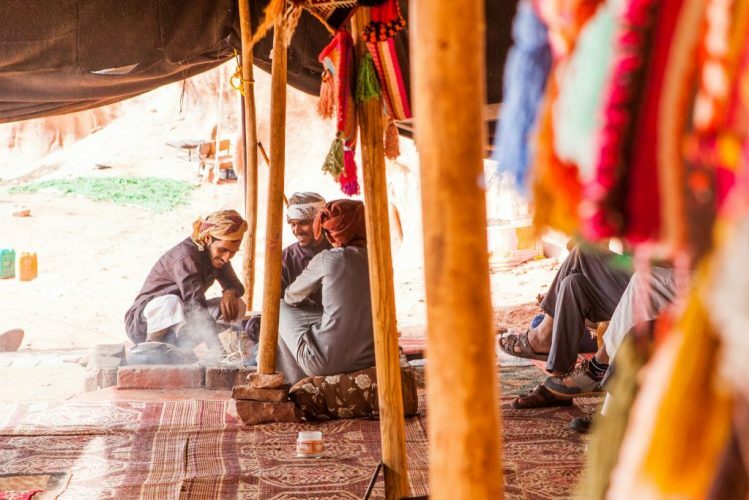 By staying in our camp you will experience much of what it means to be a Bedouin in the modern world. 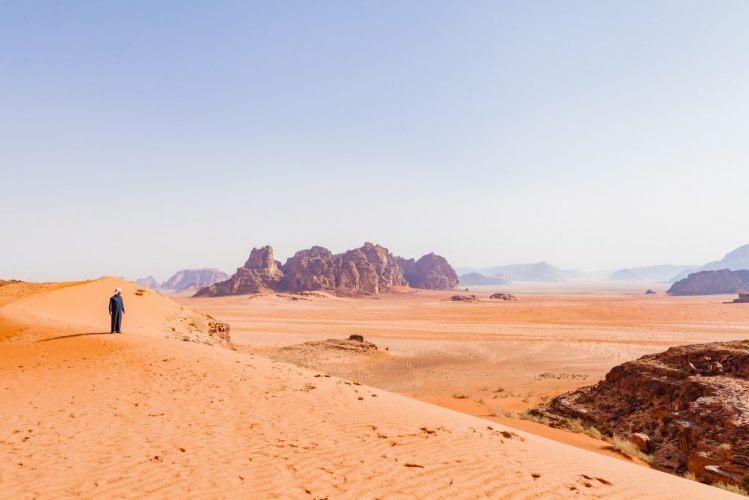 To further enhance your experience we offer tours to visit some of the still nomadic groups who live within the Wadi Rum Protected Area and live like our ancestors. This is a Specialised Tour that takes you to the least visited areas of the Protected Area. Rather than focusing on the key natural attractions that draw most tourists this option focuses on the cultural drawcards of the region. This tour visits the Bedouin families who are least integrated into the modern world. You will see no other vehicles, no other tourists, and feel truly disconnected from the outside world. Instead on this tour you will interact with modern nomadic Bedouin herding families, they are largely self sufficient and have limited reliance on the outside world. You will get first hand exposure to their way of life, the critical importance of their animals to their existence and traditions, there will be opportunities to eat and share with these people and gain some understanding for the amazing skill set they wield to live so productively in these desert environments. You will have a highly skilled guide who will interpret and translate for you to ensure that you are able to gain the maximum understanding from your experience. The tour includes lunch with and prepared by a local semi nomadic family, the intention of this is to join the nomadic families within their daily routine. It is important we are aware of any dietary needs in advance as we only have limited control over the meals provided as as we are joining their meal rather than have them cater to us, therefore, as to not impose ourselves, in some cases where visitors have specific dietary needs that the local diets do not naturally cater for, we will bring along our own supplementary foods for that guest.